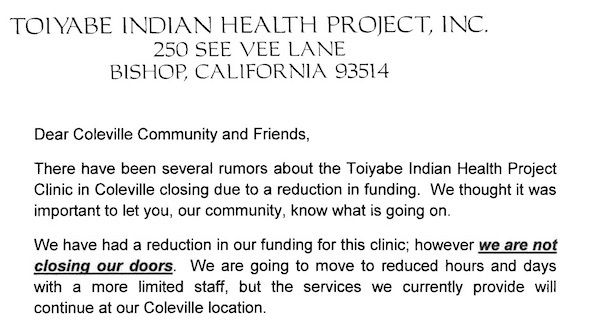 TOIYABE INDIAN HEALTH PROJECT BRINGS BIKE SHARE TO BISHOP – Toiyabe Indian Health Project Inc.
Bishop, CA: Toiyabe Indian Health Project’s Community Wellness Program is excited to announce a ribbon cutting and inaugural bike ride for the Eastside Bike Share Program on Friday, April 14 at 12pm noon at the new Toiyabe Bishop Clinic located at 250 See Vee Lane. 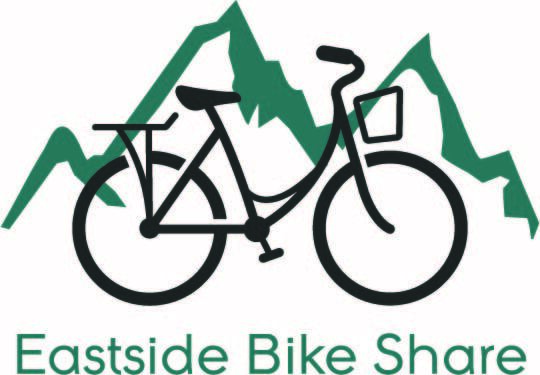 The Eastside Bike Share will have 20 cruiser bikes available at two stations for community members to check out and ride around town on errands or for recreation. 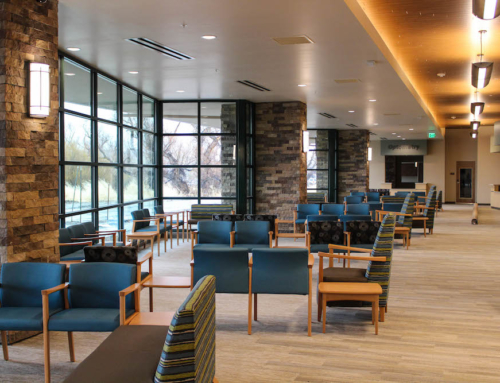 One station will be located at the Toiyabe Bishop Clinic and the second station will be located at the Bishop City Park. 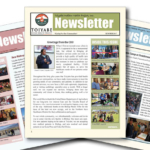 The Eastside Bike Share is sponsored by the Toiyabe Community Wellness Program, which receives grant funding from the Centers for Disease Control and Prevention, to promote physical activity and boost health and wellness throughout our community. 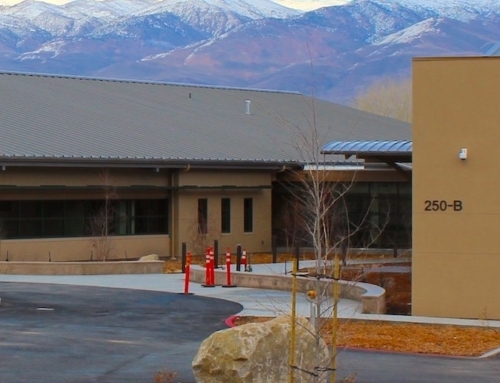 Thank you to the City of Bishop for partnering with us on this project to host a station at the Bishop City Park. Riding with the bike share is easy. Each bike has a unique number which riders enter into the free Zagster mobile app to obtain a single-use code to open the lockbox on the back of the bike. After the rider returns the bike to one of the stations, the rental ends and the bike is available for the next person to enjoy. The cruiser bikes are sturdy bikes that can be easily ridden around town and along our canal trails. The bike includes a large basket that’s perfect for carrying groceries, takeout, or personal belongings. And because rider safety is a priority, every bike has automatic lights, a bell, full reflectors, and a helmet. 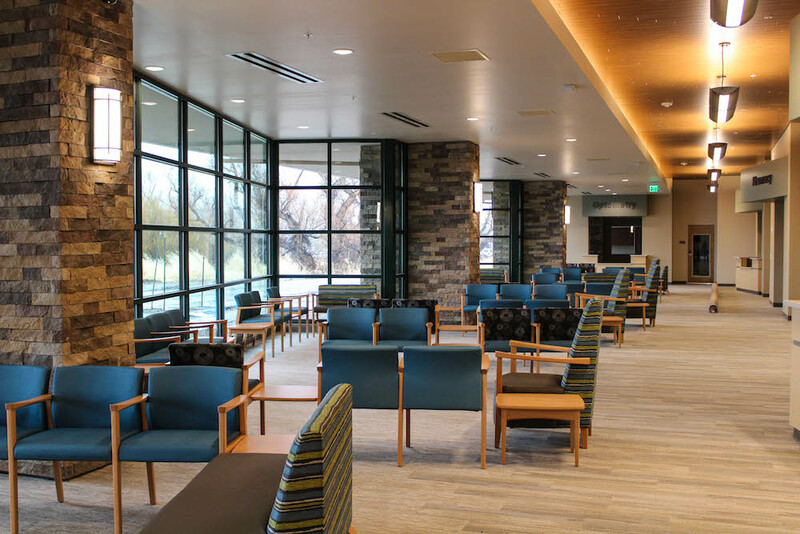 Background: The Community Wellness Program works to create healthier communities by making healthy living easier and more affordable where people work, live, learn and play. 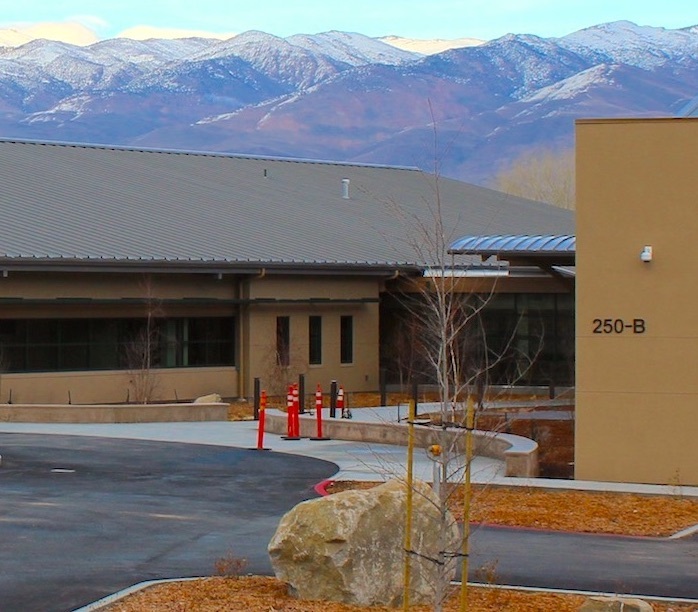 The Community Wellness Program promotes health and wellness with community-based strategies that focus on active living and healthy eating through partnerships with local agencies, organizations, and groups that share the vision of healthy communities in the Eastern Sierra. 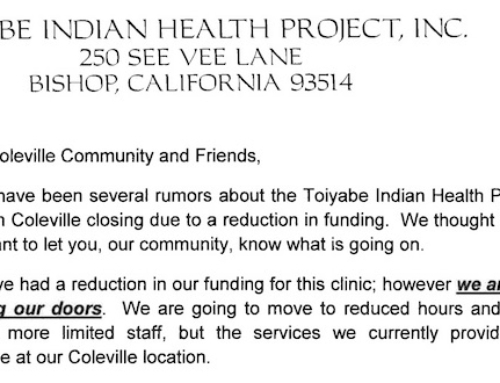 More information about the Community Wellness Program and Toiyabe Indian Health Project can be found at here.